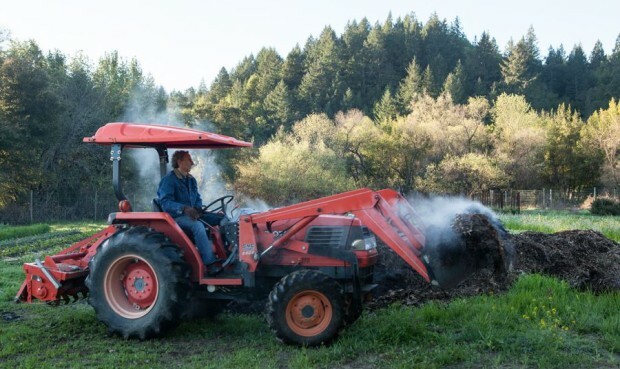 Get the dirt on compost with SHED’s own Doug Lipton, soil scientist. This interactive demonstration will be on site at HomeFarm in Dry Creek Valley, and is ideal for anyone interesting in creating healthy soil for their kitchen garden or small farm. Doug will show participants how to layer and pile compost, explain the applications of compost in the home garden and on the farm, and discuss how organic materials can encourage healthy soil. He will give a tour of HomeFarm and show how and where compost is used on the farm, as well as the varied piles of compost that grow daily with additions from the SHED kitchen. From plate to pile, see how compost is made! Doug holds his doctorate from U.C. Berkeley in environmental chemistry and did post-doctoral worked at Lawrence Berkeley Laboratories, where he focused on contamination issues in Central Valley wetlands. He earned a M.S. in Soil Chemistry from University of MO, Columbia where he also organized the first organic farming conference. After serving as a Principal Scientist at a large Bay Area environmental consulting firm, Doug formed Lipton Environmental Group that continues to direct one of the largest wetland restoration projects of its kind in the country, recycling sediment dredged from shipping channels to restore wetlands habitat for fish & wildlife. In 1996, Doug and his wife Cindy moved to Healdsburg with their two sons to start a farm where they grow a wide variety of fruits, nuts, flowers, and produce on HomeFarm, an organic/biodynamic farm. In 2013, Doug and Cindy opened Healdsburg SHED.